As Steve Bannon’s star has faded in the Republican Party so have the fortunes of some of the primary candidates he was backing. Senate candidates like Mississippi’s Chris McDaniel, who entered that race on Wednesday, Arizona’s Kelli Ward, and Nevada’s Danny Tarkanian were touted as Bannon-backed candidates who could defeat the established GOP incumbents. 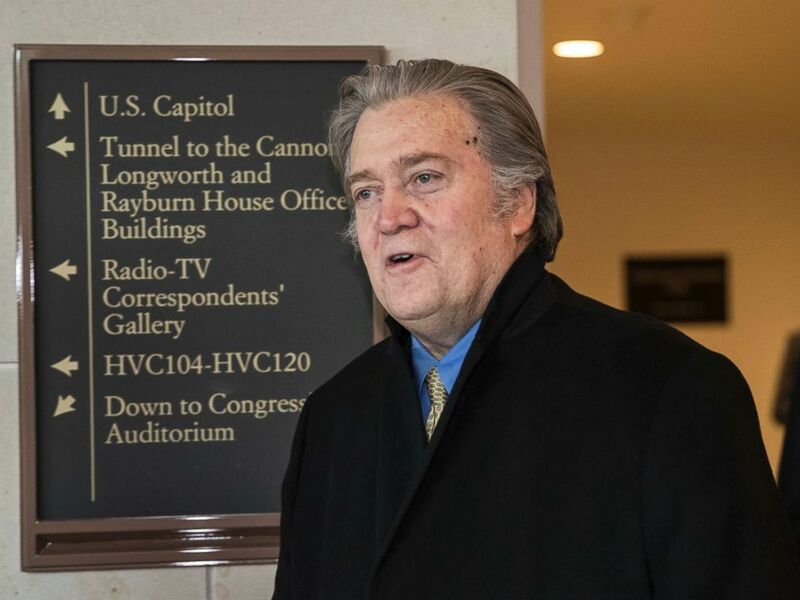 Steve Bannon, President Donald Trump's former chief strategist, arrives for questioning by the House Intelligence Committee at the Capitol in Washington, D.C., Feb. 15, 2018. Ward, a physician, in fact, had such a powerful start to her primary challenge of Sen. Jeff Flake that her support from Bannon and Trump –- who tweeted about her candidacy in August -- was seen by political experts as a factor in the senator's decision not to run for reelection. But she has seen her campaign lose some fundraising steam over the past few months. Her fundraising has been behind her GOP primary opponent, Rep. Martha McSally. Ward raised $435,904 in the last quarter of 2017, while McSally raised more than $1 million. Ward, like many other Bannon-supported candidates, distanced herself from him in January after his feud with Trump, whom she has embraced. The president, however, while not endorsing in the race, has praised McSally’s work on border security and she was seated close to him at January White House meeting on immigration. In addition to Flake, Bannon had targeted Sen. Luther Strange of Alabama, Mississippi Sen. Roger Wicker and Nevada Sen. Dean Heller. McDaniel, a state senator, in his announcement speech on Wednesday, attacked Trump, Senate Majority Leader Mitch McConnell, and a handful of Democrats and Republicans along with Wicker. Bannon had urged McDaniel to run against the six-term GOP senator last year. But Trump is backing Wicker over McDaniel. Trump also backed Strange, who was supported by establishment Republicans, over Roy Moore in the GOP Senate primary in Alabama. Strange lost. But then Moore, whom Bannon supported, lost the Senate seat for the GOP in the deep-red state to his Democratic rival in December. His loss was due, in part, to voter reaction to allegations ranging from inappropriate behavior to sexual assault when he was in his 30s. In most of the cases, the women were teens. Moore denied the claims. Missouri Attorney General Josh Hawley speaks at a news conference in St. Louis, June 21, 2017. 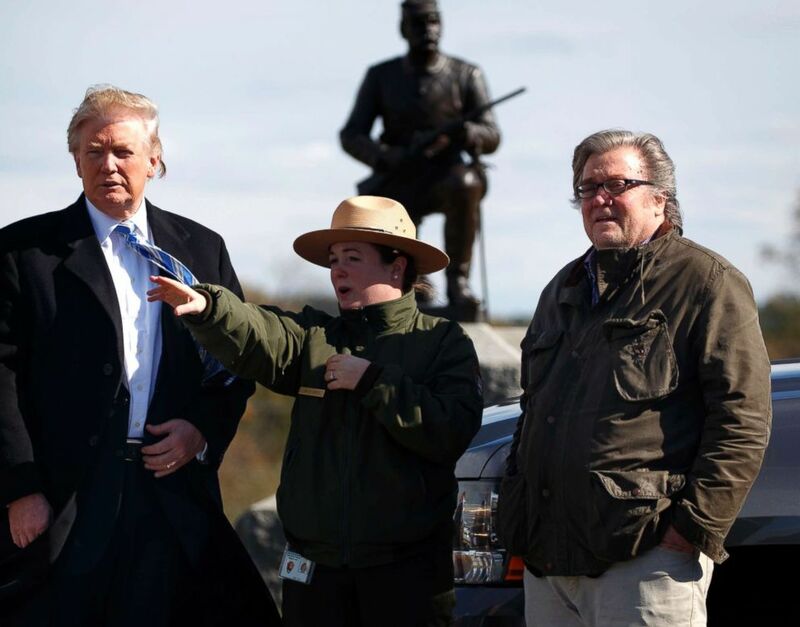 Josh Holmes, president of Cavalry LLC and former chief of staff to McConnell, said Bannon got attention by being controversial and he was able to translate that to the candidates he endorsed. Holmes argued that Senate candidates like Ward, Moore, McDaniel, and Tarkanian only got attention because of Bannon. Heller is favored in the primary and Tarkanian has been bombarded by a negative ad blitz from the Senate Leadership Fund, a superPAC with ties to McConnell. Additionally, he raised $331,217 in the last quarter of 2017, while Heller raised $823,721, according to FEC filings. Senate Majority Leader Mitch McConnell walks to his office at the U.S. Capitol, Feb. 15, 2018, in Washington, D.C.
Kevin Nicholson, who’s running in Wisconsin’s GOP Senate primary, also has tied his campaign to Bannon. He’s received seemingly unlimited support from GOP megadonor Richard Uihlein. Uihlein donated an eye-opening $2 million to the pro-Nicholson superPAC Solutions for Wisconsin in March last year and later put another $1.5 million into it. And pro-Nicholson outside groups have spent aggressively on his behalf, rolling out ads totaling $6.2 million so far this cycle, far outspending his GOP rival. Nicholson tweeted his endorsement of Bannon in October only to distance himself from the former White House adviser after the controversy. He’s running against five-term state Sen. Leah Vukmir in the primary. He received national attention, however, after his brother and parents donated to his Democrat rival Sen. Tammy Baldwin. He was also caught criticizing fellow Wisconsin Republican, House Speaker Paul Ryan. Other Bannon-endorsed candidates are doing better in their races. Missouri Attorney General Josh Hawley was endorsed by Bannon within days of his decision to run. He is seen as the frontrunner to incumbent Democratic Sen. Claire McCaskill, but he also has the backing of Trump, who will travel to St. Louis in March to fundraise for him. 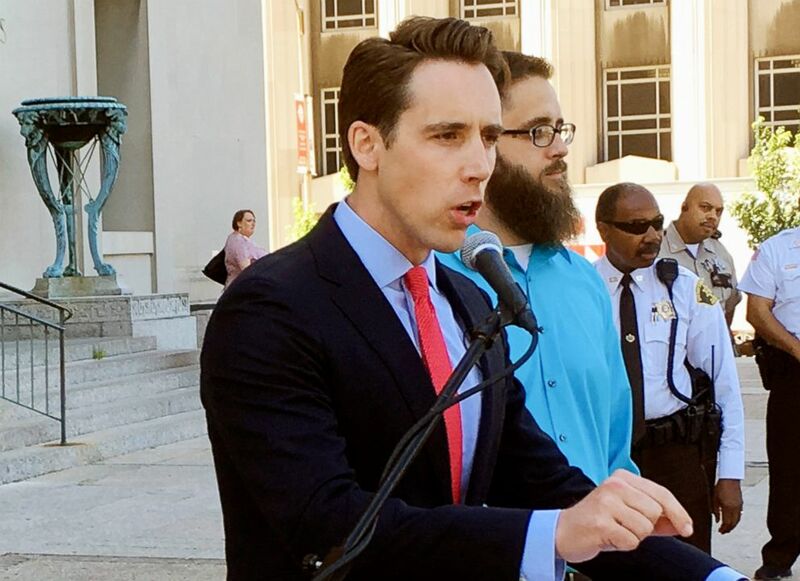 But McCaskill raised nearly three times the amount Hawley raised in the last quarter of 2017 -— $2.9 million and $958,694, respectively. 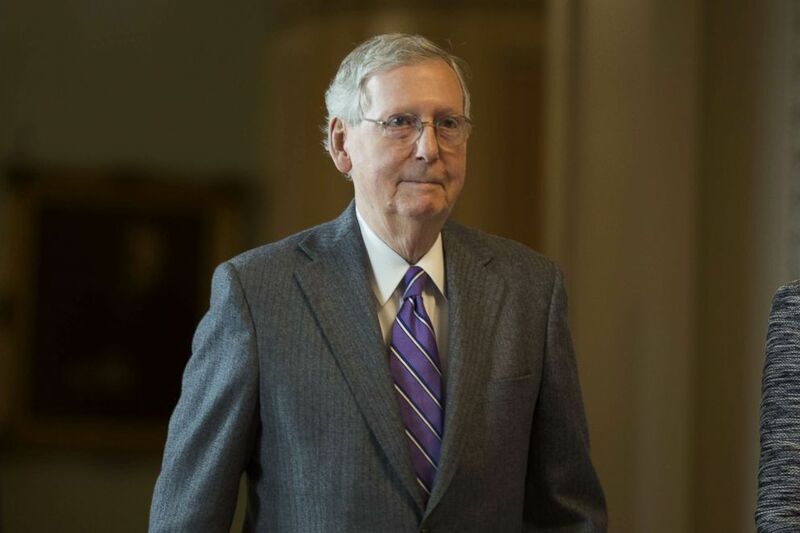 West Virginia Attorney General Patrick Morrisey has been dwarfing McConnell-backed Rep. Evan Jenkins' fundraising ever since he jumped into the GOP primary for that Senate seat last summer. Not only did Morrisey raise a total of $1.4 million in the latter half of 2017 while Jenkins raised a little more than $425,000, but Bannon's candidate is also backed by a superPAC funded by several GOP megadonors. The Koch brothers, who gave $10,000 to the pro-Morrisey group called the 35th PAC in June, were among the early donors, and Uihlein and Bernard Marcus later jumped in by donating $250,000 each in December. Whoever wins the GOP nomination, however, still has a long way to go to compete with Democratic incumbent Sen. Joe Manchin, who raised $863,999 in the last quarter and started off the year with $4.7 million cash on hand. In Tennessee, Rep. Marsha Blackburn had the backing of both Bannon and the president and seemed to be on a smooth sail in her quest to replace retiring GOP Sen. Bob Corker. Her campaign raised more than $2 million in the last quarter of 2017, while former Gov. Phil Bredesen, the Democratic nominee, raised $518,069. However, doubts about her candidacy were raised and then put to rest when Corker publicly mulled running for his seat again, only to decide not to. Corker’s team said he was encouraged to rethink his decision, which political experts saw as a sign the GOP was worried Blackburn wouldn’t perform against Bredesen. But with Corker back out, Blackburn is in and is expected to be the GOP nominee. A former member of the Trump transition team, she has had close ties to the president since his election. Montana state auditor Matt Rosendale, who has neither welcomed nor dropped Bannon's endorsement, is competing in a crowded GOP primary. One thing that separates him from the competition, however, is that a superPAC funded by Uihlein, called Americas PAC, is behind him. The group, which also has ties to Bannon, has spent more than $336,000 on ads supporting Rosendale. He also has the backing of conservative Sens. Ted Cruz and Mike Lee. Americas PAC has also been heavily involved in other Senate races where Bannon's picks are competing, including the $2 million ad blitz in favor of Nicholson in Wisconsin and $554,200 against Manchin in West Virginia. ABC News’ Nia Phillips contributed to this report.